The New England Science Boot Camp for Librarians is an annual educational event. This year the camp was held at the University of Massachusetts Dartmouth campus in Dartmouth. The theme of this year’s science boot camp is: “Explore key concepts and research in select subject areas, and engage faculty in their disciplines.” Topics covered included civil environmental engineering, nursing, physics and science literacy. This year also marked the first time that the planning committee was able to offer four Fellow Scholarships for students with an interest in science or engineering librarianship to attend the 2016 New England Science Boot Camp for Librarians. The capstone session “Science Literacy” Literacy presented by Professor Marja Bakermans & Rebecca Ziino from Worcester Polytechnic Institute was very informative. This presentation demonstrated how librarians and faculty worked together to develop an online literacy curriculum for Biology. The module focused on the components of finding, reading, and understanding primary literature. The nursing research session: “The effect of mobile symptom monitoring on self-care behaviors in patients with heart failure”, present by Dr. Sethares, Professor, director of the College of Nursing from University of Massachusetts Dartmouth is very practical and helpful. It was very interesting to see the collaboration between nursing researchers and engineers in developing the mobile device, and the way they engaged with patients through education and self-care. 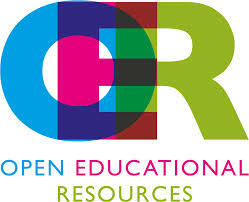 On September 28, 2015, Boston Library Consortium (BLC) hosted the first Open Educational Resources Workshop “OER: the path to sustainable change ” at the Boston College Theology and Ministry Library. The keynote speaker was Dr. David Ernst from the University of Minnesota and founder of the Open Textbook Library. The statistical data shows that students who took the OER courses performed well in the advanced level courses. Four librarians from the BLC libraries, University of Massachusetts Amherst, Boston College, University of New Hampshire and The University of Connecticut shared their experiences in developing OER initiatives and programs on their campuses. After the presentation, there was a brainstorming discussion on how BLC can support these initiatives going forward. 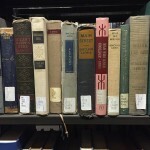 The BLC is considering joining the Open Textbook Library network. More information coming soon, stay tuned.